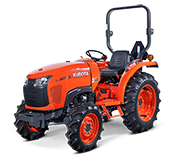 The Kubota L4240HDCA is powered by a reliable 4 cylinder, 42HP diesel engine with independent PTO and Kubota’s exclusive HST transmission. 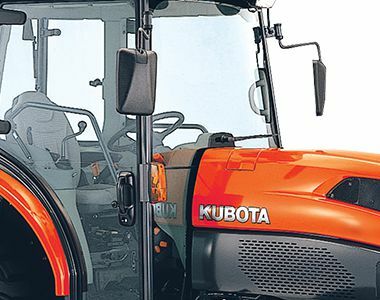 Boasting premium features including Kubota’s Intelli-Panel monitoring system and the Kubota Grand Cab, with air conditioning, spacious floor area, deluxe seating and dual-level climate control. Available with a wide range of versatile attachments, the L4240HDCA is for the operator who is after a premium mid-sized tractor that offers powerful performance and luxury comfort. 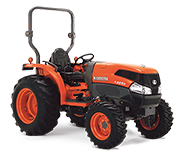 Kubota’s reputation for making exceptional engines has never been more evident than in the Grand L40. 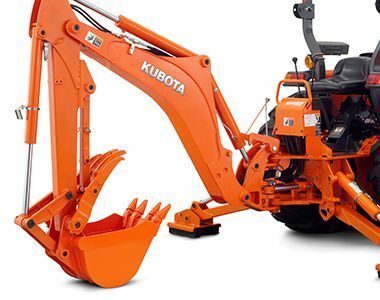 Kubota’s Three Vortex Combustion System (E-TVCS) allows for increased airflow into the combustion chamber, where it mixes quickly and evenly with fuel from the fuel injection nozzle to deliver exceptional power and efficiency. HST Plus’s automated control of both the HST pump and drive motor gives you optimal performance, regardless of the task, working conditions, or operator expertise. The hydraulically activated live-independent PTO clutch allows both the rear and mid PTOs to be independently engaged/disengaged while the tractor is still in motion. 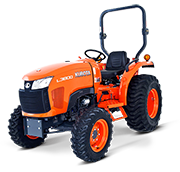 Featuring three speed ranges, the L4240 includes a steering column lever to shift between high and low speeds for each range, expanding your options to six total speeds. Once your preferred range shift speed is set, you can easily shift the H-DS between the high and low speeds while moving. And with a simple touch of the mode selection button, you can activate the auto H-DS for automatic Hi/Lo shifting. This function links the HST pedal and the engine throttle, synchronizing tractor speed and engine revolution. 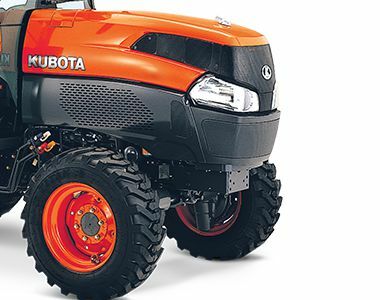 This greatly simplifies tractor operation and helps reduce fuel consumption. This feature is especially handy when moving between locations depress the HST pedal or when towing a trailer. The HST response speed can be adjusted with a simple turn of a dial. If your task requires a quick response, you can turn the dial to the FAST setting. This setting is ideal for use during loader-related chores. If the job at hand needs a more gradual response, as used for turf work, set the dial to SLOW. When your preferred response speed has been selected, you won’t need to make any more adjustments with the foot pedal. It’s that easy. Deluxe high-back seat provides soft arm rests, wide seating, firm, shock-absorbing springs, a retractable seat belt and a weight-sensitive design that adjusts to your own posture. Seat swivels 12 degrees in each direction to better assist the operator when using rear implements. The Grand L40’s fender and wide step deck features a larger, more comfortable step through area. Responsive hydrostatic power steering makes every job easier. 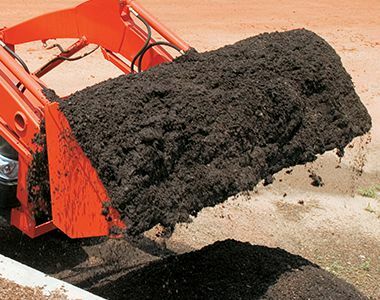 Straight-a-ways and tight turns alike are taken smoothly, while steering remains easy and worry free when a heavy load is applied or the front loader is used. 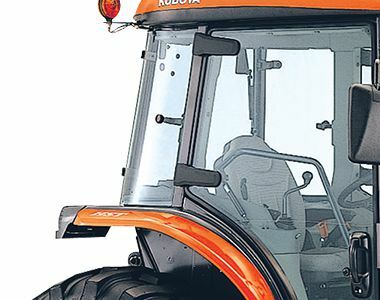 Kubota’s state-of-the art diagnostic IntelliPanel keeps you well informed with easy-to-read indicators, displays and sensor messages so you always know exactly how your tractor is functioning. 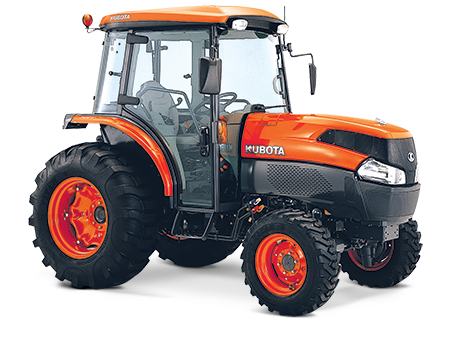 Designed to match the performance of the Grand L40 Series, Kubota front loaders ensure precise operation and improved productivity. The easy motion of the single lever controls all front loader operations, even allowing simultaneous operation of the boom and bucket. This convenient system saves valuable time by letting you attach and detach the loader from the tractor. The mounting pins and hose couplers can be removed from the operator’s seat without tools. BH92’s quick attach/ detach mounting system makes attaching and detaching the backhoe a snap so you can quickly move on to your next job. Hydraulically actuated stabilisers for enhanced stability. Optional with the BH92 Backhoe plus various bucket options and hydraulic thumb available.